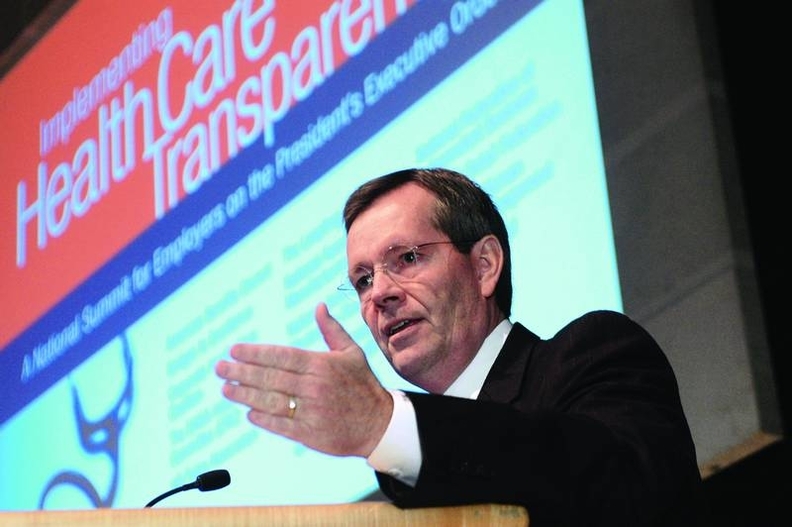 Leavitt says quality and cost transparency are key to transforming the industry. Even as the nations flag bearers for hospital quality continued to tweak, shape and add to an already large list of measures and best practices last week, some patients claim they increasingly are losing trust in healthcare providers. Two federal-affiliated agencies, two quality groups, two corporate groups and HHS Secretary Mike Leavitt all took action last week to try to improve hospital quality and patient safety. The Agency for Healthcare Research and Quality issued 10 new patient-safety practices that among other things would have hospitals step-up their use of technology, better gauge when staffers are fatigued and ensure the highest safety standards are followed in intensive-care units. Adding to the mix, the AQA Alliance, formerly the Ambulatory Care Quality Alliance, announced it had adopted 31 new surgical and medical quality measures. That brings the total number up to 80 approved by the AQA. The flurry of activity from various quality improvement organizations underscored a healthcare-heavy week in Washington, where Congress returned with a new majority set to take over in January that promised healthcare reforms, and where Leavitt asked for and received the backing of the countrys largest employers to help force change in the way people seek and receive care. But even though the quality movement has matured and gotten bigger over the years, patients trust in the healthcare system continued to wane. According to an annual Harris Interactive poll, U.S. adults who perceive hospitals as generally trustworthy and honest fell to 28%, down from 34% in 2005. In the update to its never event list, the NQF added just one new item: artificial insemination with the wrong donor sperm or donor egg. It made marginal changes to six others, but left most of them alone. All told, there are 28 adverse events on the NQF list that are serious, largely preventable and of concern to both the public and healthcare providers for the purpose of public accountability. The NQF also expanded its medication error measure to include drugs that trigger a known patient allergy, Stegun said. In lockstep with the NQF list, the Leapfrog Group, which counts employers in and out of the healthcare sector as members, said it would ask its membership to follow set criteria if and when major adverse events occur. Through its survey of hospital quality and safety, the Leapfrog Group wants hospitals to apologize to the patient or family, report the event, perform a root-cause analysis and waive costs. And Leavitt last week reinforced his call for a multipronged effort by patients, large private employers, the federal government and hospitals and physicians to more efficiently change how healthcare is delivered. Leavitt, who addressed the influential Business Roundtable, outlined what he called four cornerstones to a value-based healthcare systemone where patients are rewarded for seeking out quality and cost information, and physicians can track patient care electronically. The four cornerstones are interoperable records, quality measures, price information and positive incentives.